The town of Barkhamsted, located in Litchfield County, is in the northwest corner of Connecticut on the Farmington River. Allocated to Windsor in 1732, proprietors used the land for farming and raising livestock. That same year, the General Assembly named the town Berkhamstead. In 1774, the town applied for incorporation but was not officially recognized until 1779. In 1795, its name changed to the present spelling. 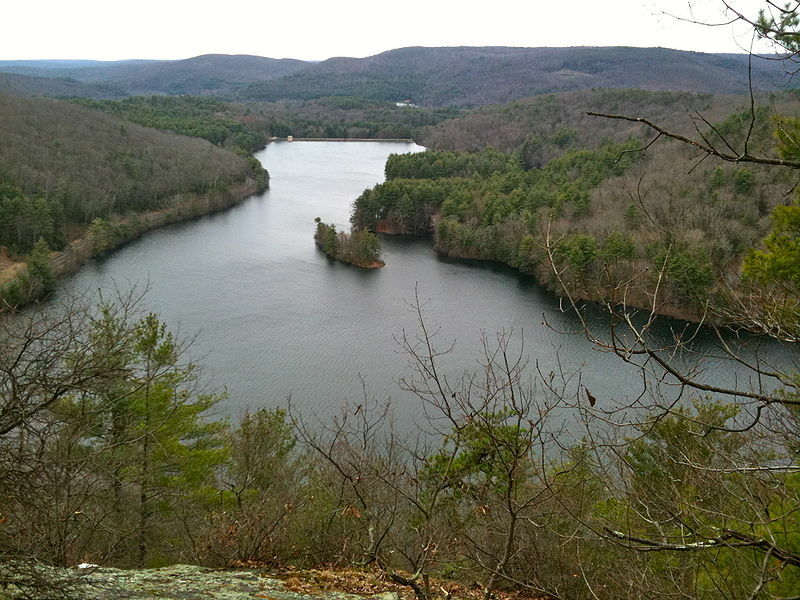 Today, the town is known for the Barkhamsted Reservoir, a man-made body of water that serves the needs of Hartford residents, and for the iconic Hitchcock chair that was produced in Barkhamsted until the early 20th century. “Barkhamsted Historical Tour.” Barkhamsted Historical Society, 2016. Link. “American Legion and People’s State Forests.” Department of Energy & Environmental Protection, 2017. Link. “Barkhamsted Historical Society,” 2016. Link. “Lighthouse Archaeological Site.” Connecticut Freedom Trail, 2012. Link. “Squires Tavern.” Barkhamsted Historical Society, 2016. Link. “Barkhamsted - WPA Architectural Survey.” Connecticut State Library Digital Collections, 2013. Link. “Catalog Record of the Hitchcock Chair Company Collection, 1785-1897.” Connecticut Historical Society Library Catalog, 2012. Link. “Photograph - Paper Mills, Riverton, circa 1895-1955, Lewis Sprague Mills,” ca. -1955 1895. Connecticut History Online, Connecticut State Library. Link. “Photograph: Museum, People’s Forest, Barkhamsted, Lewis Sprague Mills Collection,” ca. -1955 1930. Connecticut History Online, Connecticut State Library. Link. Barber, John Warner. “West View of Hitchcocksville in Barkhamsted,” ca 1836. Connecticut History Online, Connecticut Historical Society. Link. Feder, Kenneth L. A Village of Outcasts: Historical Archaeology and Documentary Research at the Lighthouse Site. Mountain View, CA: Mayfield Publishing company, 1994. Barkhamsted Historical Society, and Richard Wheeler. Barkhamsted Heritage: Culture and Industry in a Rural Connecticut Town. Barkhamsted, CT: Barkhamsted Historical Society, 1975. Lee, W. Barkhamsted, Conn., and Its Centennial, 1879: To Which Is Added a Historical Appendix, Containing Copies of Old Letters, Antiquarian, Names of Soldiers of the Revolution, 1812, 1846, and 1861, Civil Officers, and Other Matter Interesting to the People of the Town. Meriden, CT: Republican Steam Print, 1881. Link. Ripley, Orville. 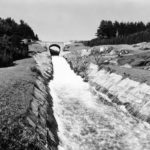 Sesqui-Centennial of Barkhamsted, Conn., 1779-1929: Today and Yesterday in the History of the Town. Hartford, CT: Case Lockwood & Brainard, 1930.